The engineer in me loves this. 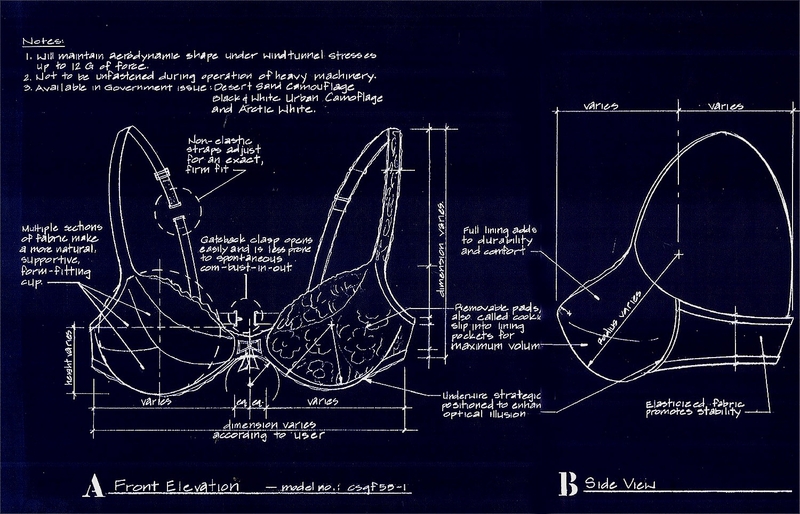 One cannot discuss The Feminine Differential without considering the bra. The psychological significance of wearing this most feminine of garments cannot be underestimated. 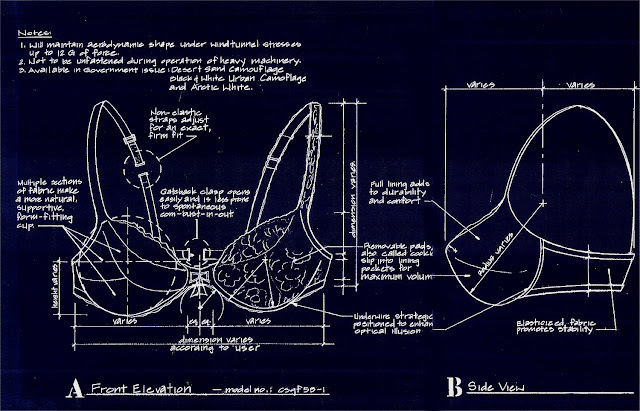 Many garments can be considered to be androgynous or even less female in different cultures, but the feminine nature of the bra is magic. The tight embrace of a bra around your chest is like nothing to be found in your regular wardrobe and there's simply no equivalent item in any men's clothing item. Women readily share certain secrets among themselves - their favorite shade of lipstick, the best way to curl hair or their favorite wine. Interesting among both my girlfriends and transgender friends the bra seems to be an seldom talked about subject. Just a slightly uncomfortable subject or because we all have different needs, ranging from support to adding a (or several) cup sizes. Regardless, it's something that I have always been curious about, so here is my favorite. Give your curves the ultimate boost with the Ambrielle Mystique push-up bra, featuring a low-neckline approved plunge design, and extra padding for a smooth, shapely look. Padding: push up; includes underwire for shape and support. Every since JCPenney has revamped their store I have to say that I just can’t stay away, but I’m even more excited now since the re-lauunch of Ambrielle. Ambrielle is a beautiful lingerie collection that offers a fit for every figure. Ambrielle is designed for the modern, sophisticated woman who wants comfortable, affordable intimates that fit your figure perfectly without sacrificing style or luxury. With technical attributes including back smoothing, seamless lines, full coverage and plunging necklines, the Ambrielle collection leaves every woman looking and feeling her best.